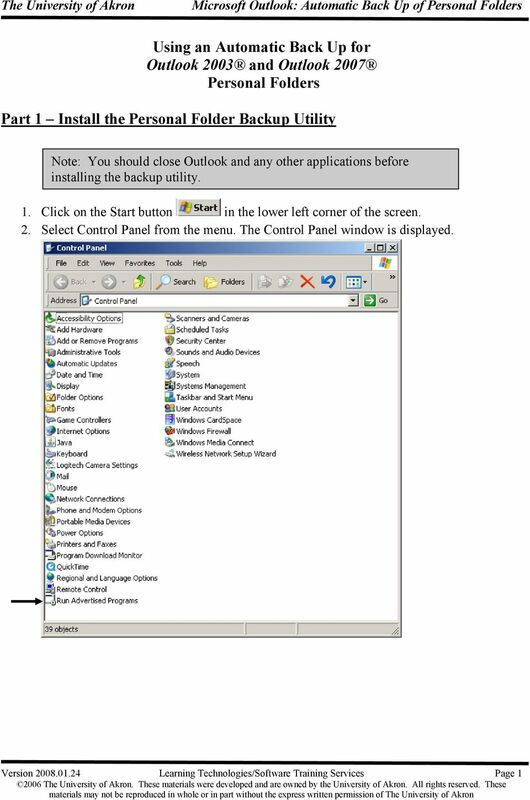 Download "Using an Automatic Back Up for Outlook 2003 and Outlook 2007 Personal Folders"
Installing a printer in Windows 95. 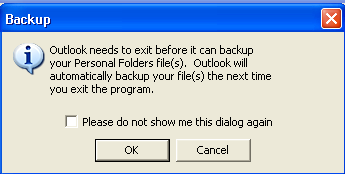 To successfully initialize Microsoft Outlook (Outlook) the first time, email settings need to be verified. Rev. 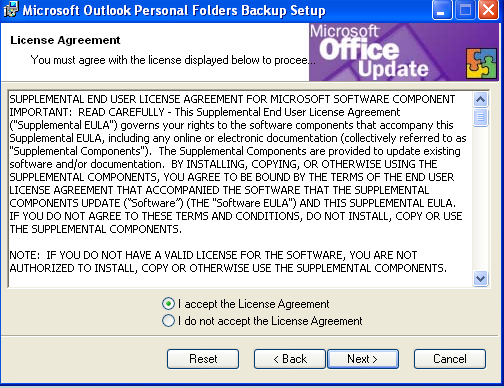 06 JAN. 2008 Document Control User Guide: Using Outlook within Skandocs Introduction By referring to this user guide, it is assumed that the user has an advanced working knowledge of Skandocs (i.e. 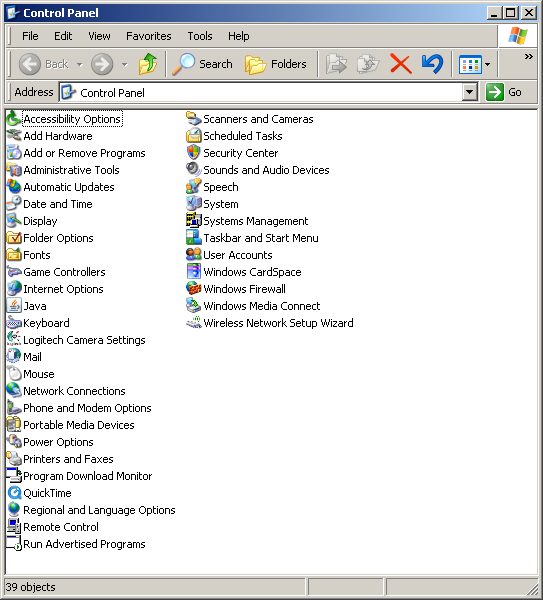 Open a PDF document using Adobe Reader, then click on the Tools menu on the upper left hand corner. 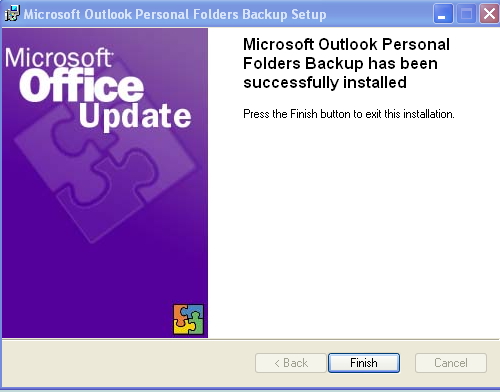 Installing Microsoft Outlook on a Macintosh. 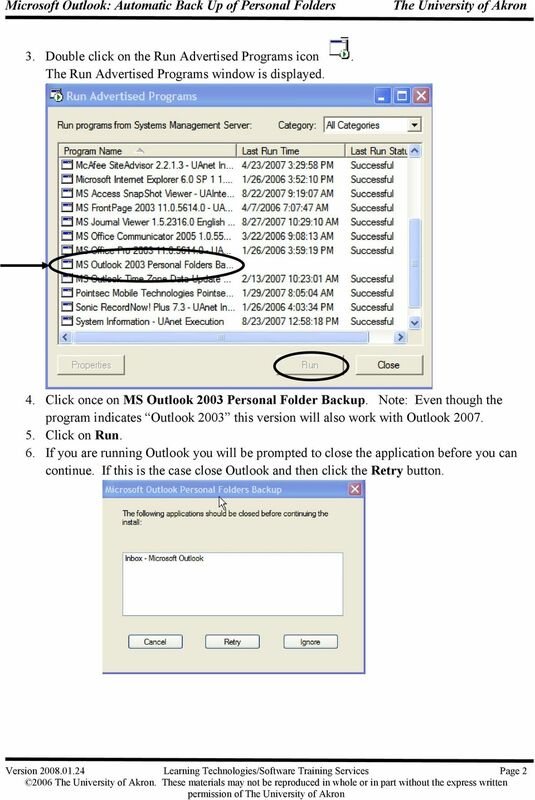 This document explains how to download, install and configure Microsoft Outlook on a Macintosh. These instructions were tested on OS X 10.9.4. Earlier or later versions may have slight or major differences in how things work and appear. 1. Open Outlook. Click on the File tab (top left) and click on Open & Export Link. 2. On the next screen click on the Import/Export link. 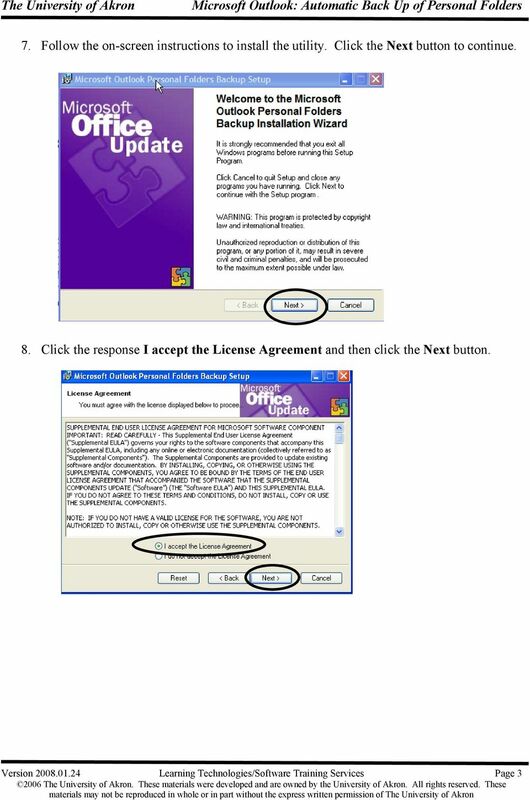 Outlook Web Access Logging in to OWA (Outlook Web Access) from Home 1. Login page http://mail.vernonct.org/exchange 2. 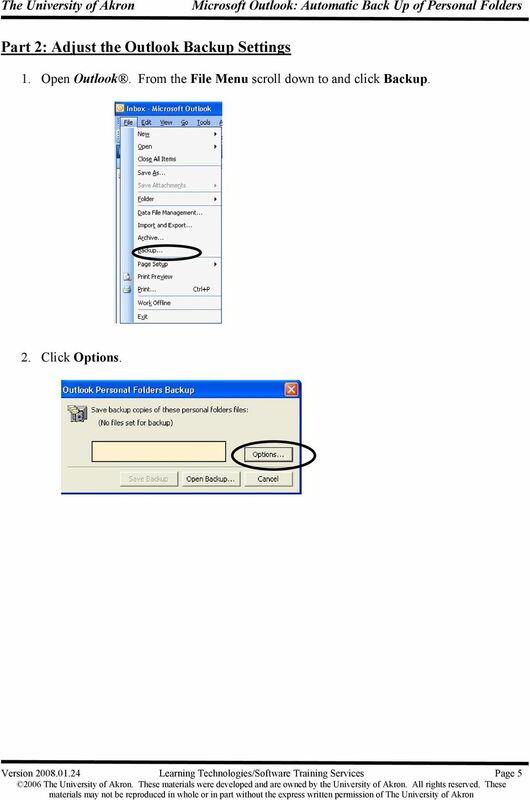 To avoid these steps each time you login, you can add the login page to your favorites. 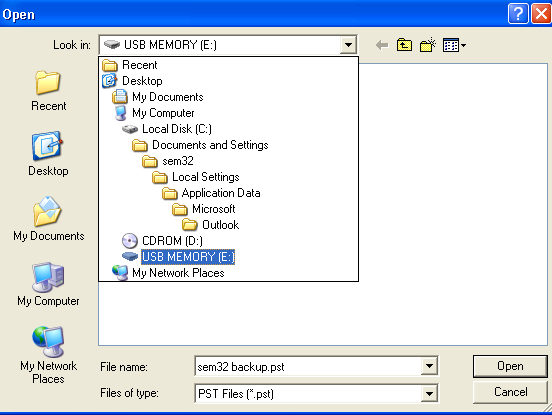 Export the address book from the Blackberry handheld to MS Outlook 2003, using the synchronize utility in Blackberry Desktop Manager. 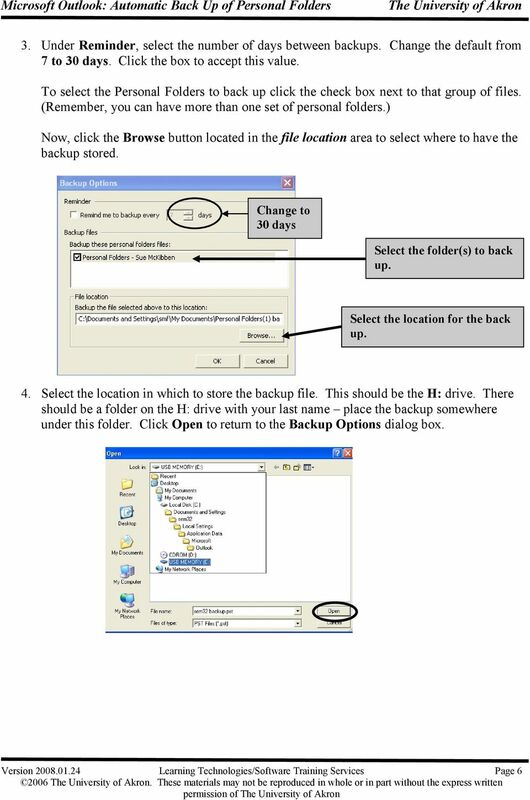 How to install and use the File Sharing Outlook Plugin Thank you for purchasing Green House Data File Sharing. 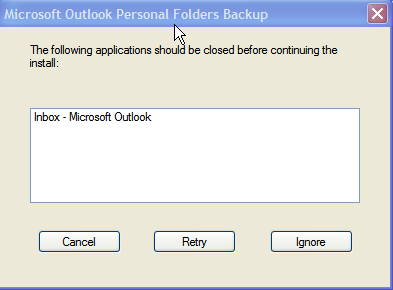 This guide will show you how to install and configure the Outlook Plugin on your desktop. 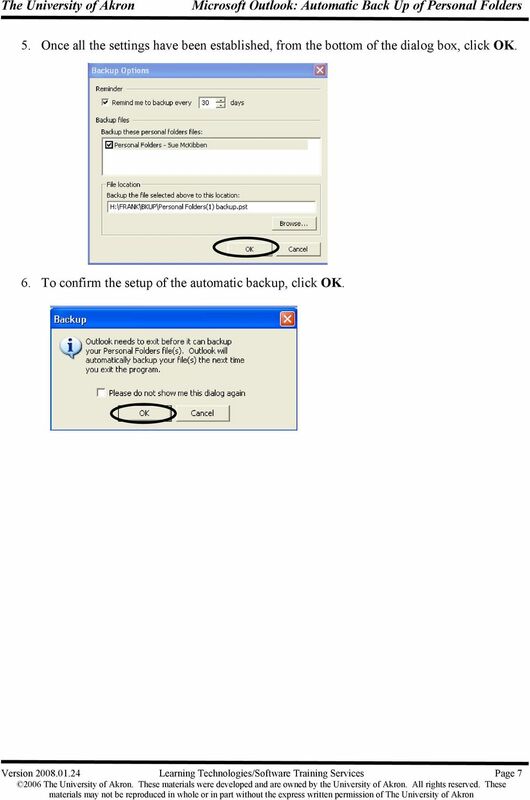 Online Backup and Recovery Manager Setup for Microsoft Windows. 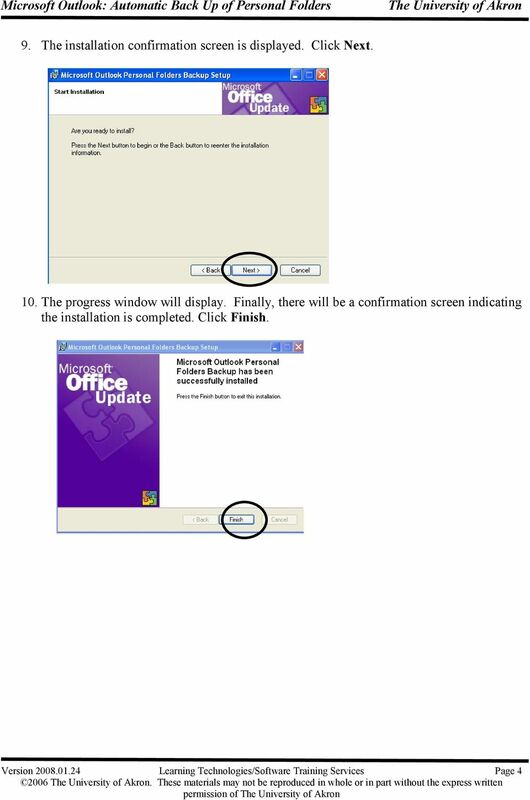 Connecting to eduroam using Windows 8 GUIDE User Services IT Services University of Malta 2013 User Services IT Services University of Malta Msida MSD 2080 Malta May only be reproduced with permission.